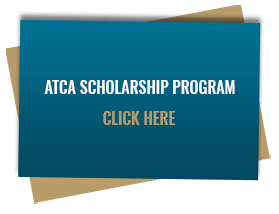 Where would ATCA be without air traffic controllers? Ever wondered what it’s like to spend a day in their shoes? ATCA breaks it down for its readers as part of our Day in the Life series. Samantha “Sam” Navarro never dreamed of being an air traffic controller. She joined the Air Force and ATC was one of three possible paths she could take. She gave it a shot and was sent to Keesler Air Force Base in Biloxi, MS, for its Air Traffic Controller Operator School. She struggled initially at her first facility, but with the help of a great trainer and training manager, things turned around for her. “I owe my career to him,” said Sam. Now she can’t imagine doing anything else. Seven years ago Sam landed at her current home of Seattle-Tacoma International Airport (Sea-Tac), now the nation’s 15thbusiest airport. She started as a contractor with the RVA ramp tower, but liked “the job security of working for the FAA,” so she made the move. She says the biggest difference between being an air traffic controller at a tower than at an Area Control Center (ACC) is “we get to look out the windows.” In addition, “we need to be able to make split second decisions because in the tower environment, depending on the weather, planes can get as close as they want.” While ACCs have a minimum separation between planes of five miles, towers can use the windows to their advantage. They only deal with the five mile radius surrounding the airport; the radius for ACCs is much larger, sometimes parts of a state. With Sea-Tac’s three runways being parallel to each other and not converging like other large airports, air traffic is kept pretty basic and standard. 5:00 Babysitter arrives – Sam’s husband is also a controller so finding a babysitter for their two children who can accommodate two constantly changing schedules is a challenge, to say the least. 6:00 Shift starts. Receive briefing, which includes procedural and safety items, notes from headquarters, etc. 6:15 Receive position assignment. Controllers rotate through four positions – flight data/clearance delivery, ground control, local (tower position that can be split into two, East and West) and local assist – throughout each shift. 7:30 Break – these are crucial in such a high-stress environment. “We have the most safety-crucial job there is. You know who and/or what you’re moving and how crucial your mistakes can be,” said Sam. 8:00 Rotate position – every controller works 45-90 minutes in each position before rotating. 10:00 Refresher training. FAA Order 7110.65 is considered the “ATC bible” and requires constant refresher training. Controllers are required to be familiar with the provisions of the manual at all times. This can be monthly training, changes to the manual, etc. Despite the high stress levels of being a controller, Sam confesses that it can become fairly repetitive. That’s why one of her favorite times of year is Seattle’s Seafair (www.seafair.com) – a weekend-long, region-wide celebration of navigation and aviation with community and athletic events, parades and races. Temporary flying restrictions are imposed to protect the airspace for aircraft like the Navy’s Blue Angels that utilize it for their airshow. “I look forward to it because it breaks up the routine,” said Sam. 12:30 Last position change before shift ends at 2 p.m.
Thunderstorm strikes – pace picks up – stress levels peak. Sam quickly coordinates with Approach Control (radar that handles the aircraft after the tower) simultaneously on frequencies and on the phone. “It’s amazing how well the people on the front line can set aside their [personality] differences and deal well with high pressure situations,” she says. Editor's Note: This is the the first article in a series titled "A Day in the Life of an Air Traffic Controller," which walks through the different responsibilities and situations real-life controllers face. Think you know someone in the air traffic field who would be an interesting future subject? Email Kristen Knott with suggestions.